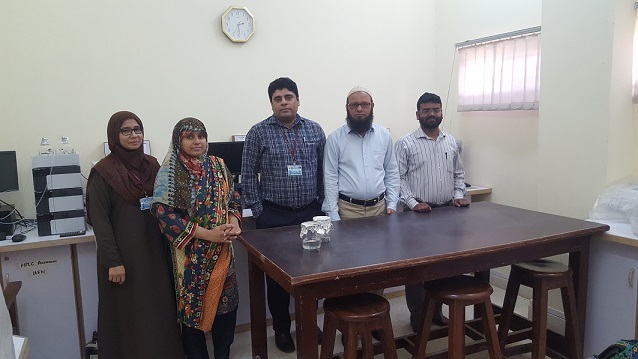 1st session of Seminar on “chemical handling & lab safety"
The programme is designed with emphasis on the application of scientific knowledge on industrial problems. The goal of these Industrial Chemistry degree programmes is to shift from general education to more purposeful education. 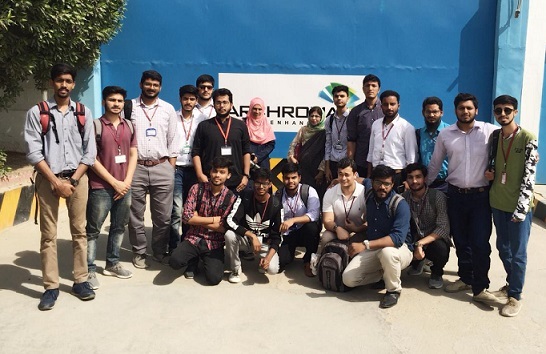 Beside academic and research activities in the university, our students gain practical education about various industrial procedures through industrial visits. Mandatory internships also prove our undergraduate students the hands-on experience they need to land a better career. 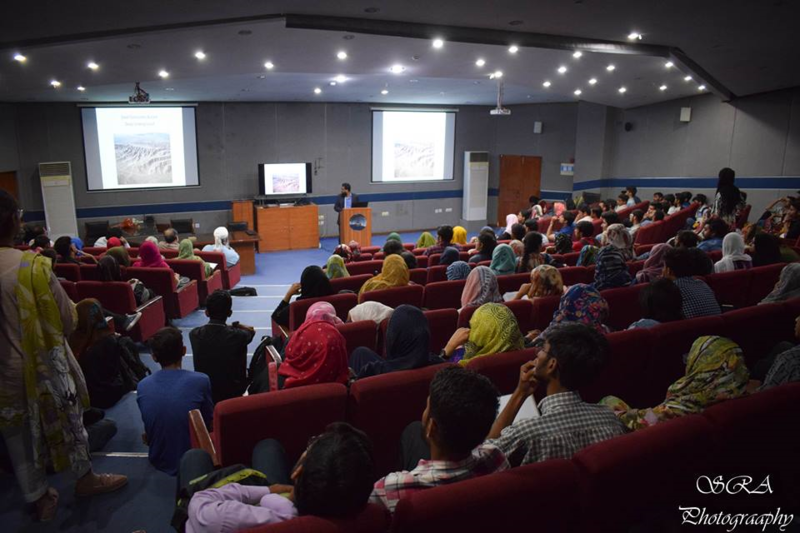 Many of the undergraduate final year projects, Master Independent study projects and dissertations were acknowledged in academic fraternity in the form of conference posters as well as oral presentations and research publications in HEC approved journals. Various interdisciplinary and collaborative research projects are also going on. 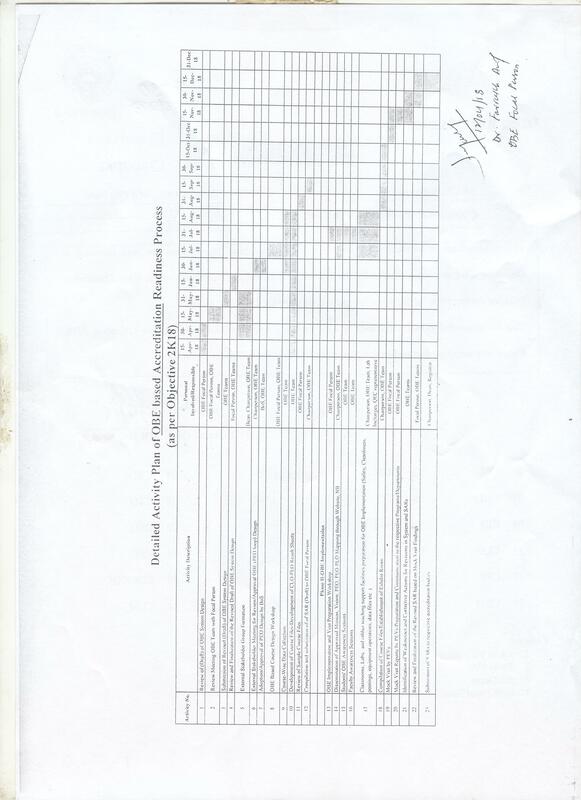 Faculty of the department also fetched research funding from Higher Education Commission, Pakistan. 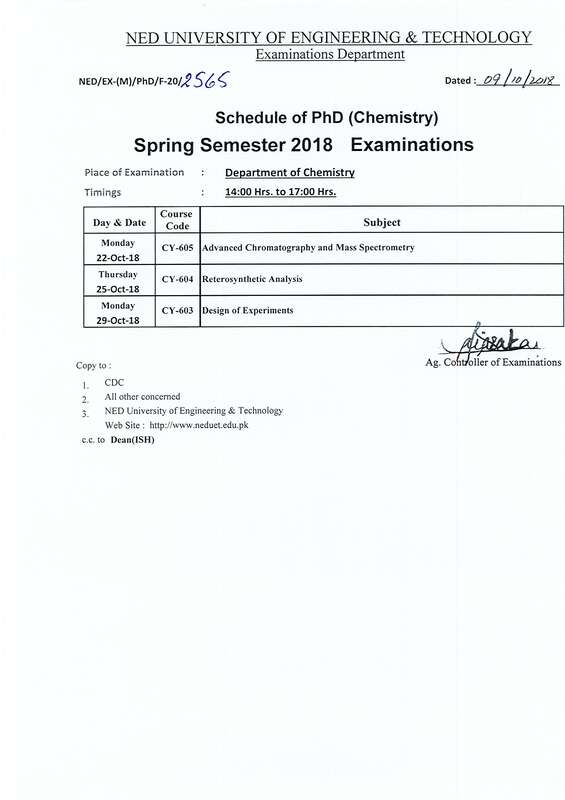 Ø To provide a strong foundation in fundamentals of chemistry through courses offered by the department for engineering students in the university. 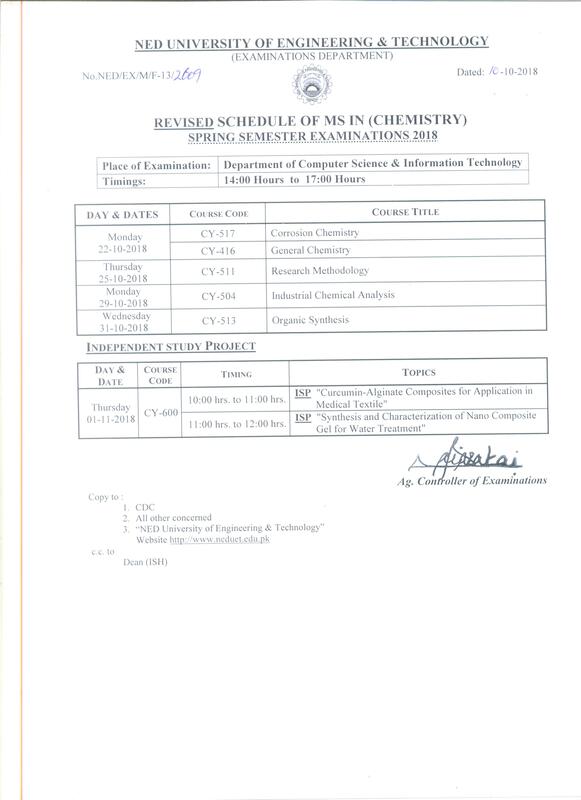 Ø To provide broad based curriculum in chemistry with the aim of producing engineers and chemists with awareness on the importance of chemistry in the industry. Ø To attain excellence in teaching chemistry to undergraduate, graduate and post graduate level students. Ø To develop research facilities and establishing an inspiring environment for research in chemistry. 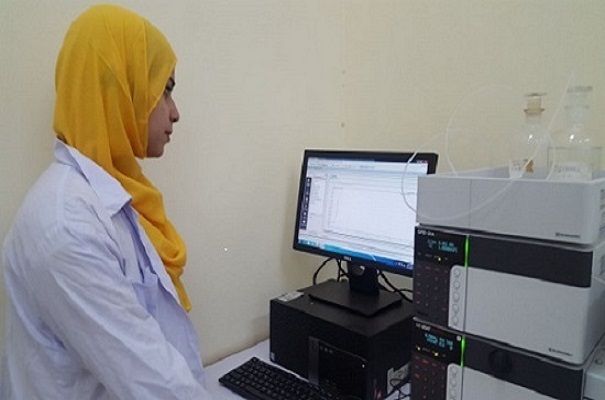 The Department of Chemistry also offers research-intensive PhD programme and introduces students to research skills and dedicated knowledge which will broad their horizon and will equip them for career opportunities they pursue after their doctorate studies. This program aims to produce motivated, self-directed, and independent subject specialists who can identify and solve applied as well as basic scientific queries of their area of interest. PhD students will gain experience through working closely peers, faculty and professionals in their field.